With his 113 yards last week, Larry Fitzgerald surpassed the 15,000-yard mark in his career. It’s significant in and of itself, since only five other players have ever reached that milestone in their careers. It’s even better for Fitz when he became only the second player ever to have that many yards with one team. 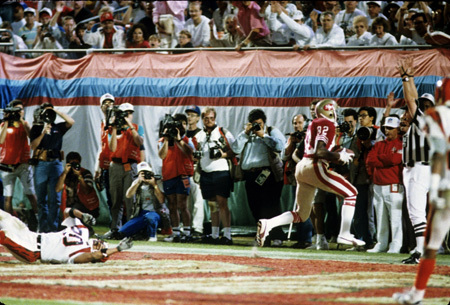 Jerry Rice — the NFL’s all-time receiving yards leader, by far, with 22,895 — had 19,247 in his time with the 49ers alone. Fitz is having another excellent year, one magnified by the fact he’s 34. He needs only 227 more yards to put himself third all-time in the NFL, past Randy Moss. (He doesn’t figure to get another 869 yards this season needed to pass Terrell Owens into second place.) Fitz remains some 50-plus catches ahead of the also-active Jason Witten as having the third-most receptions in NFL history. The move up the all-time lists, though, makes me think back to the interviews Fitz was giving last season. He is currently 140 catches behind Tony Gonzalez, who is second all-time. (Rice is 364 ahead.) He could shave the Gonzalez lead down to about 100 or so by the end of 2017, but he made clear “I don’t plan on playing that long to catch those guys” just last season. And in the grand scheme, you are reminded again that Fitzgerald has a future to think about, and that his contract runs out at the end of the season. This, by the way, is the latest Fitzgerald has ever gone in his career not having a contract in place for the following season. UPDATE: How’s this for coincidence. PFT is reporting Fitz and the Cardinals are closing in on a one-year extension. It would not mean Fitzgerald definitely would play in 2018. But if he does, it makes sure it’s with the Cardinals — as if that was ever really a question. It doesn’t take much to change the outcome of a game. Ray Horton has seen that a couple of times, in a couple of instances when it couldn’t have been on a bigger stage. In doing an interview with the Cards’ new defensive coordinator the other day, the subject of the little things – and Super Bowls – came up. Don’t forget, Horton was on the defensive staff of that Steelers’ team that beat the Cards a couple of years ago. We started talking about the interception return of linebacker James Harrison right before halftime (careful, don’t throw things at the computer screen). Afterward, Horton said, he figured the coaching staff watched that play 50 times over and over. He can tell you exactly where everyone on both teams was and ended up. Despite claims by Kurt Warner to the contrary, Horton said the Cards lined up for that play just like they had all season. But Harrison, a linebacker, decided not to blitz as called and for some reason stayed home. (This is the stomach-punch part of the post, so if you’re faint of heart, look away now). “You can look at each guy and think, ‘If one guy does one thing different, he doesn’t score,’ ” Horton said of Harrison’s 100-yard touchdown. “It was a dramatic play and it turned the game around. It won or lost that Super Bowl. Horton knows of ramifications. Because if you ask him what play during his 10-year NFL career sticks out, it’s a play just like that – and for Horton, it had the same painful type of result. He was playing for the Bengals in Super Bowl XXIII, the one where Montana hit John Taylor for a game-winning 10-yard touchdown with 30-some seconds to go – just barely past the outstretched fingers of a diving Horton. The play the Bengals had called was to double-team both Taylor and Jerry Rice (who had 11 catches for 215 yards that day), the right call for the formation. But then Rice went in motion – a change-up – and Horton thought, “We’re screwed.” He thought about calling time out but didn’t, which still sticks with him. While we talked, Horton jumped up to scribble the play on a white board to explain what happened. Safety David Fulcher was supposed to come across for Taylor. Horton was supposed to stay with Rice, but he quickly realized Rice was the diversion. He tried to jump back and make the play. He just missed the ball, and was lying in the end zone as Taylor finished off the play.